What is rebranding? Why rebrand? And how to go about it. Rebranding is an effective strategic tool in business owner’s and marketer’s toolbox. Much like an impact driver, it is a very powerful tool when used in particular scenarios, but it can do damage if misused. I was appalled that so many firms on the internet were advocating rebranding because they want to sell their services. I needed to write the truth about rebranding. Rebranding is the act of changing an organization’s name, logo, colors, or other structural parts of the brand identity to move away from undesirable feelings and brand associations, and allow for new perceptions to form. Colin Finkle, the author of this post, has walked many companies through the challenging process of rebranding. Here he is speaking at an all-hands meeting prior to rebranding. All the visual, written, and audio components of a brand (for example: the name, logo, tagline, etc.) are called the brand identity. Redesigning a package, website or any individual component is not a rebranding; a fundamental change to the schema that links the brand identity together is a rebranding. Typically, a name change or a logo redesign is considered a rebranding because every piece needs redesigning as a result. Rebranding is corrective; it solves a problem. If there is no problem, then there is no need to rebrand. A rebranding enables an organization to modernize it’s aesthetic and realign their brand with their mission and the market, both of which may have changed since the original brand identity was designed. The more significant problem rebranding can correct, or make worse, is a perception problem. A substantial change in brand identity creates the opportunity/challenge to change the existing perception of the brand; old associations can be broken making way for new opinions to form in the minds of stakeholders. That sea change effect of rebranding makes it risky but potentially rewarding. You see organizations that have endured public relations disasters quickly rebrand for the opportunity to change peoples minds. Why rebrand? The high risk / high reward nature of rebranding. An organization would rebrand if there is something about their brand identity (name, logo, colors) that does not make sense anymore, or there is an issue with public perception. A logo design might have made sense originally, but may now look dated in the context of new logos and design trends. If a company is bought or integrated, they may attempt to make two competing brands into on mega brand, or use a sub-brand strategy. A company may have experienced a news story or public failure that created a perception that follows the brand like a ball and chain. Rebranding can signal progress. 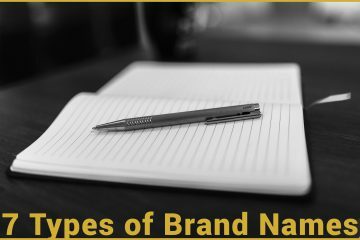 A brand may worry that their name or logo sends the wrong symbolic message to their stakeholders; the customers, investors and partners may get the wrong idea. Rebranding is an extreme option; it has the opportunity to correct big problems but also has the potential to screw things up and cost a lot. Rebranding is one of the most significant projects a company can take on; every product, package, page, advertisement, and peripheral has to be remade to reflect the new brand name or design. Signs have to be reconstructed, brochures reprinted, websites relaunched, forms modified, templates revised, presentations redone, etc. I have rebranded more than a few companies, and you never quite reach the bottom of the barrel; when you think you are done, someone finds an Excel sheet or a landing page yet to be redesigned. Overestimating the scale of a rebranding project is impossible. If your team were not working on a rebranding, what could they be doing for the organization? All of that work and repurchasing has costs. However, no one considers is the opportunity costs. If your management team, marketers and designers were not working on a rebranding, what could they be doing for the organization? What could all that capital spent on reprinting, recoding, etc. achieve otherwise? We all know rebranding is costly from the start, and the cost spiraling out of control is a real possibility. However, the greater risk is irreparably damaging your existing brand. To understand what is at stake with a rebranding, you have to understand brand equity. Brand equity is the portion of a company’s value attributable to its brand; brand equity is the value of a brand if it were to be sold separately. Clumsy or unsophisticated rebranding can destroy brand equity, and thus make the company less valuable. People recognize and may have a relationship with an established brand. A name change or abrupt shift in the design of the brand can make the brand unrecognizable. Thus, the value in the recognition and trust of the old brand isn’t carried over, and the value of the brand is lost. For example, have you ever heard of Oath? They are a big deal: a billion dollar company, now a division of Verizon. Probably not, but that is not your fault. You probably have heard of AOL and Yahoo, two brands that had hundreds of millions of dollars worth of brand equity. However, when they merged and renamed to Oath, much of that equity was lost just because no one had heard Oath. Smartly, the merged company kept both the AOL and Yahoo brands as sub-brands, but brand equity is non-transferable. The new Oath brand has to be built on its own merits. Oath is a very big organization, but not well known because the brand equity from Yahoo and AOL didn’t transfer to the new brand. Rebranding gives you the opportunity to poise your organization for success. There may be a part of your brand identity or a nagging public perception that is holding your company back. There may be something in a stakeholders mind regarding your organization that keeps them for hitting that buy button, sharing that post, or donating their time or money. Rebranding is a strategic move. Strategy putting your organization in the best position for success given your circumstances and environment. Thus, for a rebrand to make strategic sense, there has to be something correctable about your current brand that is keeping you from success. For a rebrand to make strategic sense, the new brand would have to put you in a better position for success. 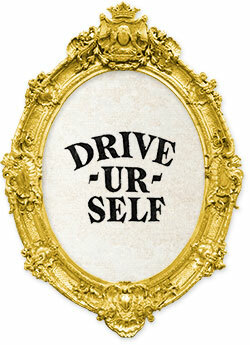 Drive-Ur-Self is a funny name for the early days of the rental car business, but not the brand you want to move forward with. For example, in John Hertz purchased the Drive-Ur-Self rental car business from Walter L. Jacobs in 1923. The company operated under Drive-Ur-Self, then Hertz Drive-Ur-Self, but when the Omnibus Corporation acquired the business, the flippant name had to go. The name was a clear obstruction to success and expansion, so they rebranded to Hertz in 1954. The name change set them up for the success they saw in the second half of the century where they became the #1 rental car company. Now they are #3, but that is beside the point. Most often, a company has been thriving under their current brand, and the environment has changed making some aspect of the brand hindering to future success. For example, Microsoft’s logo from 1987 worked fine throughout the 90s. Fast forward to 2012 and the logo looks dated and had to change. Design trends had changed people opinions on fonts; bolded and italic fonts are now considered dated, and modern companies used simple, thin sans-serif font. The old Microsoft logo was great in the 90s, but in the context of today’s tech logos, it looks dated. The design of the Microsoft logo made the company look dated when compared to the logos of its contemporary compatriots. 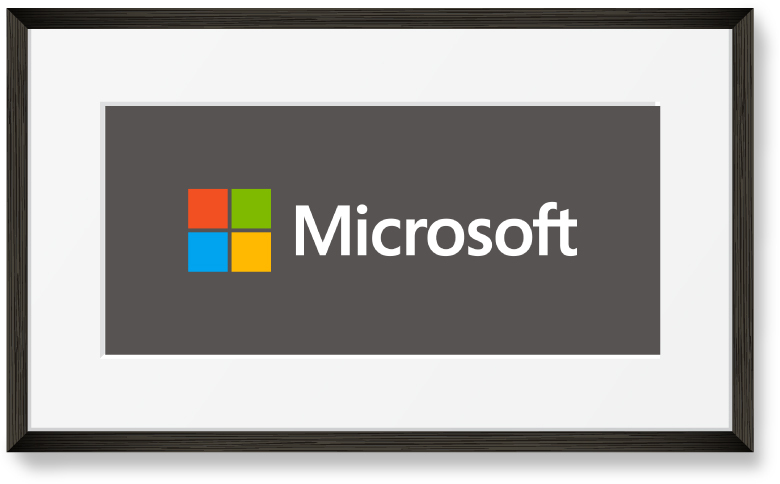 Microsoft is in the best position for success when it is considered pioneering, so logo needed to be redesigned to reflect that. I use Microsoft as an example of Sans-Serif fonts in the article explaining how different logo fonts are perceived. Give it a read to see if your font is saying what you intend it to. 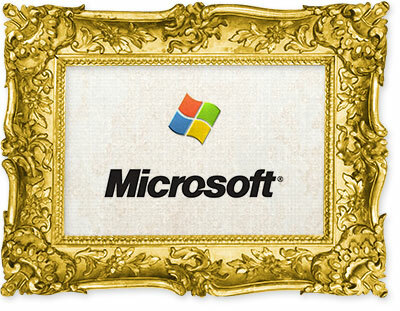 The new Microsoft logo looks properly modern. The change in Microsoft’s logo corrected a slight but overarching problem with the perception of their company, but rebranding can also fix much more substantial issues with perception. An old brand will weigh down a company has endured a crisis, and their public trust has been eroded. The old brand will be forever associated with the crisis. Thus, rebranding gives the opportunity to move forward and recreate relationships. The public is pretty cynical about rebrandings after a public relations disaster; most think it is a coat of paint over the same rotten interior. Imagine an organization that has been brought to near-death by bad actors, and has made a genuine effort to weed out what caused them to go down the wrong path. With the destructive people out and new, well-meaning people have taken their place, do you expect the reborn organization to be burdened by the tarnished brand? 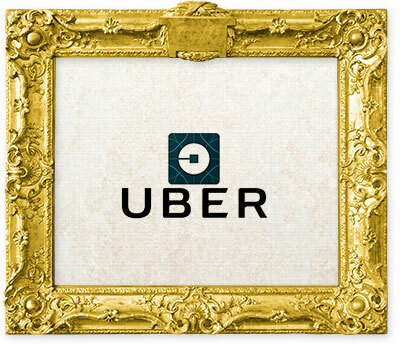 The old Uber logo was tarnished by the bad behavior of the previous executives. The Uber rebrand is an example of using rebranding as a tool to navigate out of a public relations crisis. Uber had a rash of negative news stories centering around the toxic culture in their head office. An ex-employee documented and published cases of sexual advances from a manager which were reported to HR and ignored. She also exposed a story where they made embroidered leather jackets for male executives but made females pay. Then, a video of CEO, Travis Kalanick surfaced showing him arguing with a driver over fares, which seemed to confirm that Uber had a very hostile attitude towards their drivers. Moreover, Kalanick said that he was going to search for a new Chief Operating Officer, surprising their top executives who promptly resigned. On a late June evening, five of Uber’s major investors demanded the resignation of Kalanick. In a letter to Kalanick titled “Moving Uber Forward” (which ironically was their the headline of their first post-rebrand ad campaign), the board made the case that his continued presence would hinder Uber’s growth. Kalanick resigned. Dara Khosrowshahi was named CEO at the end of the summer. Assuming Mr. Khosrowshahi has the best of intentions and has weeded out the bad actors from Uber’s less honest days, he can’t be expected to pull the old Uber brand around like a ball and chain. A rebranding would be a signal to people that they were working with a renewed company. The new Uber logo was a signal that they were a changed company. 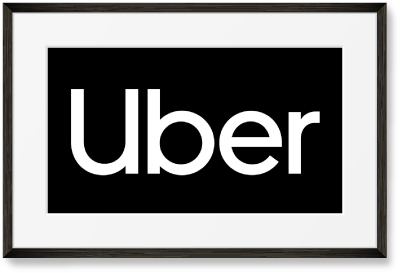 Uber announced their rebrand which included a new logo, a custom typeface, strict rules on composition, a return to black and white, and putting the Uber U back in the forefront. The announcement of the rebrand made abundantly clear that these changes were the product of input from the broader Uber community: the customers, the drivers, and the public. The rebrand team made sure to mention the “1000 hours of listening” they did in preparation for this rebranding. They made the rebranding an opportunity to unite the Uber community, as well as form new perceptions. Rebranding offers solutions to seemingly insurmountable obstacles for companies and is a project with a beginning, middle, and end. Thus, it is an appealing option for executives (especially new management) when compared the hard work of changing company culture and business models. However, rebranding is exceedingly risky and filled with pitfalls that can destroy brand equity. How to Rebrand A Company. Research, prepare, plan, execute, and watch for pitfalls. Rebranding a company comes down to researching, perparing, planning, executing and then monitoring. It is not complicated, but it is a lot of work and consensus building. 5 | Get Consensus Re. Design of Board, Management and Employees. The research you need to do it to understand what your brand means to people so you can maintain what is working and cast away what isn’t. 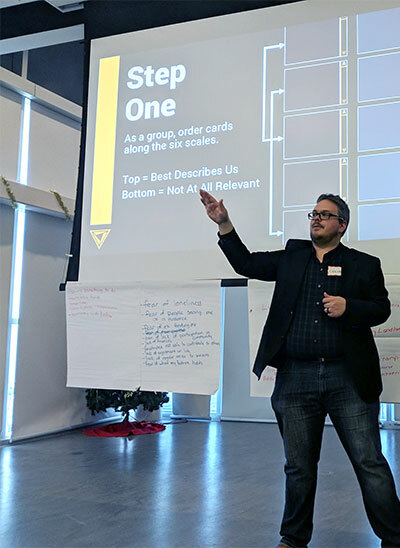 Focus groups, card sorts, word associations: these are all tools that can help but nothing beats a plain old conversation with people, particularly customers and front line staff. Next comes the preparation. You have to write a strategic plan that can be share with management, designers and marketers so it is clear what the re-brand is attempting to correct and what it is trying to maintain. If writing a compelling strategic plan is challenging, then you may not need to rebrand. A strategic direction should be clear after your research. Your strategic plan should be ready to share with designers. Management and the designers should choose some key pieces of the brand identity to redesign; pieces like the logo or the packaging of the best selling product. The designers work their magic, and their designs can be scored using the strategic plan. From there, you can get input and approval of all management and the board members. Now you have to plan, plan and then plan some more. You have to make a list of all pieces that need to be redesigned and reproduced, and and understanding of how much inventory you are stocking of each piece. That list of pieces now needs delivery times for both the designs and the manufacturing. That should give you a work back schedule. You should double or triple your best estimate; these projects always take longer than expected. You can set your relaunch date, and inform your partners and investors of the date. Now to execute. All the pieces need to be redesigned and reproduced. Your planning and consensus building from earlier is now critical; if you did not get 100% buy in on the original designs, sign offs on all designs will take forever. Decision makers get antsy as the rubber hits the road and the launch date looms. Next comes the launch. This is a topic in and of itself, but you simply need to make sure all of your stakeholders are made aware: customers, investors, partners and employees. You need a plan to reach them all. The process of rebranding is long but straightforward. It is not rocket science, but an expert or a branding agency like us can reduce the risk of disaster. There have been billions of dollars in lost value of companies that attribute to bad rebrandings. Later, we discuss how a clumsy rebranding of Tropicana lost nearly $280 million in revenue in two months. As we discussed, the stakes are high, and the potential rewards are high when rebranding. If you can avoid the common pitfalls, you can come out with a brand that will contribute to your success. Assuming the brand has operated with some success, people have built up an expectation of what comes from the brand. They expect the logo, the packaging, and the features of the product. If a brand has been very successful, a brand may dominate a product dimension in the minds of customers. For example, if someone values soft toilet paper, he or she will reach for Charmin on the store shelf. If someone wants an electric car, he or she will first consider Tesla. Rebranding risks breaking these expectations and associations in customers minds. If something significant changes about the brand, and the customer cannot find what they expect, then they may consider competitor products. For example, Tropicana redesigned their packaging. PepsiCo, who owns Tropicana, commissioned the marketing agency Arnell to not only redesign the packaging but design and run a $35 million advertising campaign to support the change. The change went into effect January 8th, 2009 and was instantly mocked on social media. Sales fell by 20% within the first two months. Pepsico announced that they would be reverting Tropicana to the old packaging on February 23rd, 2019. “We underestimated the deep emotional bond they had with the original packaging,” said Mr. Cambell, then president of Tropicana North America. They pushed the brand too hard. The difference in design between the old package and the new made Tropicana unrecognizable to previous customers; it lacked any reference to the emotional icons of the old design, namely the orange with the straw, the logo, and the “Pure Premium” tagline. The new design also strayed too far from the emotional understanding of the brand. The new packaging focused on the processed juice rather than the oranges. People like thinking their orange juice comes from oranges. Who knew! Daryl Weber, the author of Brand Seduction, calls this emotional understanding the brand fantasy, and you can read more about the concept in my interview with him or his book (on Amazon). What is not acceptable is having customers see both the old brand and the new brand at the same time. A brand should launch like a product; after the launch, there is no looking back, and all we see is the new brand. A customer will be confused if they see both brands. They may think the new brand is a knockoff. They may be confused if the new brand and the old brand are presenting conflicting messages. They may think the company is unprofessional because it is inconsistent. They may see the old brand on the shelf and view the product as leftovers, which is especially damaging in the tech or food industries where people do not want an old product. An organization should limit how long both the old brand and the new brand is visible to the customer, as this creates confusion. Thus, the planning and prep work takes months (if not years), and the change goes into effect quickly, like a full-scale product launch. If you are a consumer packaged goods company (CPG), then no one expects you to return and repackage your product. However, you need to get your distribution channels to sell the product with the old brand promptly (with a promotion, if necessarily) before selling the products featuring the new brands. Rebrandings are an opportunity to correct parts of a brand identity and aspects of the brand’s public perception. However, some rebrandings get into trouble because they use the chance to try to speak to an entirely new set of people or start competing in a new product vertical. They make a lateral move. In reality, brand equity doesn’t work that way. Marketers and executives mistakenly think that they can build brand equity in one area and transfer it another. While their company’s brand recognition may have some value in a new market, the depth of relationships they have built with their existing customers cannot transfer. It is analogous to investing in a location, and then wanting to move to another part of town. The company can’t move the building, so they have to accept the losing the money they previously invested in the original location when they move. If your strategy is to abandon your existing market, then it must be in decline. Customer needs do not go away; the customers of this old market are probably having their needs taken care of by a new product or technology. If the executives behind Gillette had just tried to make electric shavers, it would not be the valuable brand it is today. They would have tried to compete in a new product category with a brand associated with the old category, which would have hindered them instead of helped. I suspect their lateral move would have failed, and the brand would have been diluted to death. Common Rebranding Mistake #4: Failure To Announce The Brand In A Significant Way. Message from the CEO: Brand X is embarking on a new chapter of our journey in the hopes to serve you better. Let our new logo be a symbol of our commitment to become the leader in Widget Y.
I am not going to knock a rousing letter from the leader behind a brand, but it is merely not enough. You have more people to reach than your email list represents, assuming they all open this one email (which they won’t.) You need to reach out to all your stakeholders. We have a post that outlines all of a brands stakeholders, and how to customize your communications to them based on what they expect from a brand. Your stakeholders include investors, employees, customers, and suppliers. Most executives assume their investors and employees know about the rebranding because a big part of the team has been working on it for months, but this is a dangerous assumption. Even small organizations (ten to twenty people) can have personnel who do not know about the rebranding. Learning about the rebranding through the market will make them feel detached. Investors, even ones not engaged in the company, will be angry if they are surprised by a rebranding. Announcing a rebrand to customers is common sense. However, many foolish executives do not want to spend any money creating or buying media to announce it properly. You need to look at a rebranding as an announcement to the market as a whole. Announcing a rebrand requires ads, interviews, press, etc. Announcing through earned media alone won’t be sufficient. Most executives do not announce their rebranding to their suppliers at all. It is just a missed opportunity to deepen your relationship with them, limit confusion, and maintain a professional relationship. I am not advocating to spend any money reaching them, but make sure they are a part of your communication plan. Conclusion. Rebranding is not something that should be considered lightly. Rebranding is a big deal. Actually, a REALLY big deal. Really, it is a MONSTROUS MEGA-HUGE deal. Asking Nick’s north star question can highlight that you do not actually want to rebrand. You may feel off course. There are many ways to right the ship that builds upon the brand you have. This article contains affiliate links. These are links to products on Amazon where Colin Finkle makes a small commission if a purchase is made post click.